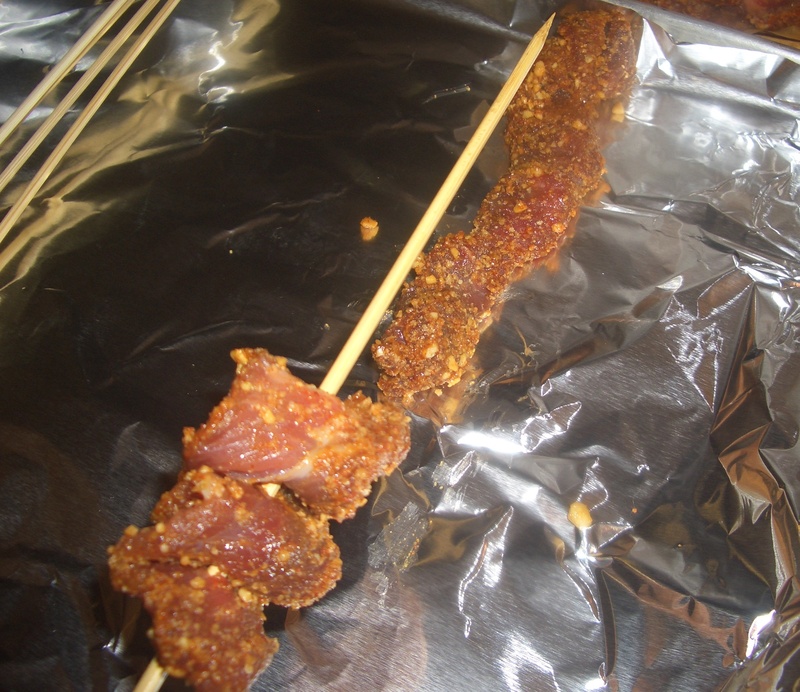 Suya or tsire (also known as chichinga in Ghana) is a Nigerian street food. 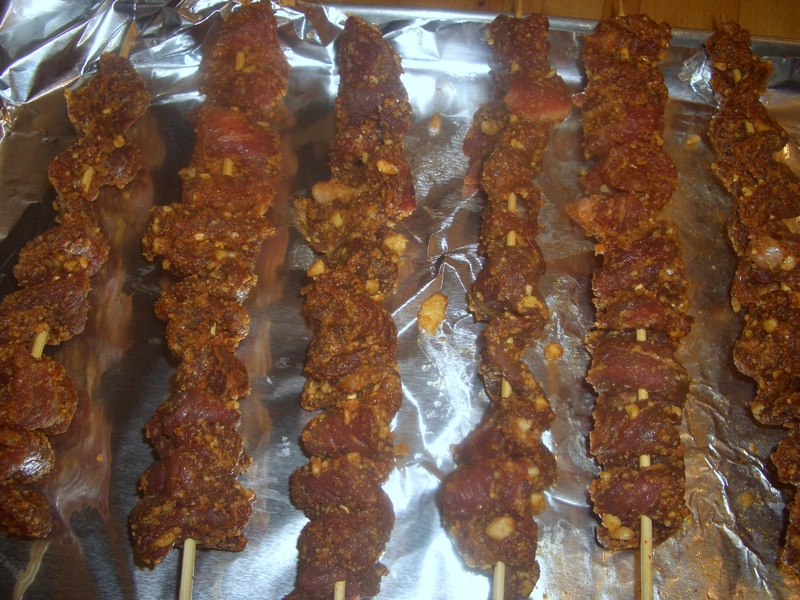 The traditional recipe uses roasted peanuts to marinate the meat, but since peanuts are a legume and legumes are not allowed on paleo, I substituted roasted cashews which also gives it a wonderful flavor. 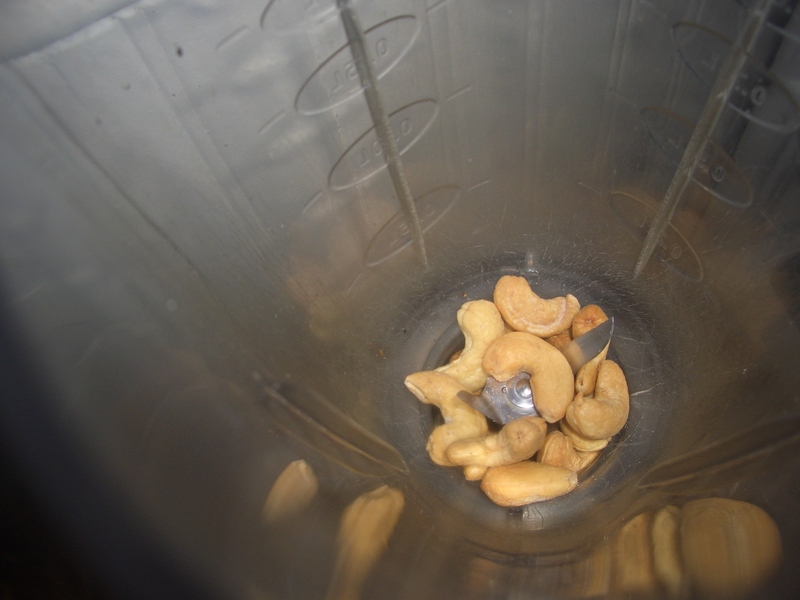 On the other hand if you do eat peanuts, feel free to substitute them for the cashews and know that you are having an even more authentic version. 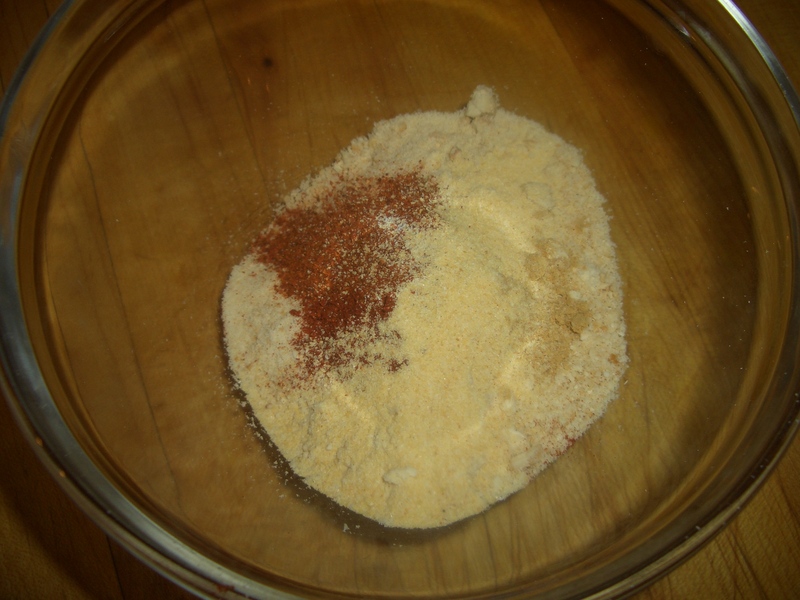 Speaking of authentic versions, although 1/2 teaspoon ground cayenne sounds pretty spicy, the truth of the matter is most of the other recipes I looked at used at least 1 teaspoon cayenne – so feel free to increase the cayenne significantly (or decrease it if you are not fond of spicy). 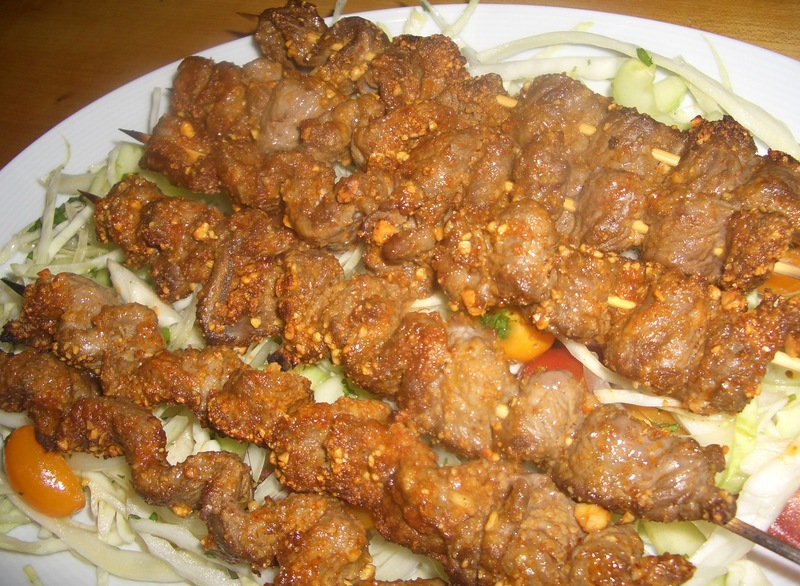 Also, you do not have to limit yourself to beef for these skewers; they would be equally good with chicken, lamb, pork, shrimp, or even goat. So however I got to this recipe I can assure you it was a lucky (and delicious) find. The salad is completely my own addition – I think spicy food goes so well with light and crunchy salads – and this truly is a dynamic duo (or if you add a beer it would make this a terrific trio). 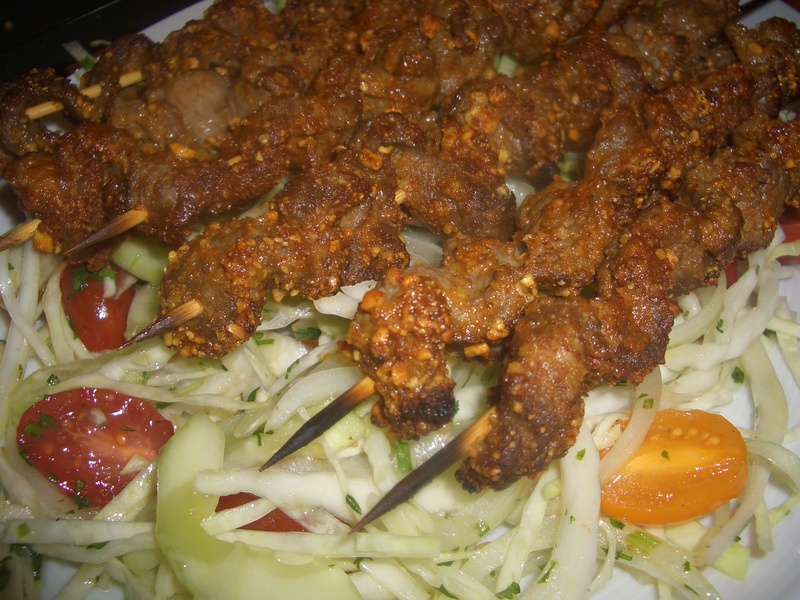 This Nigerian street food makes a great meal or if you make small skewers, a very interesting hors d’oeuvre. The salad goes well with any meal. Place the roasted nuts into use a blender (best), food processor or a mortar and pestle. Process until you get a fine powder, try not to over process or you will be making this with homemade nut butter, but that will work too. 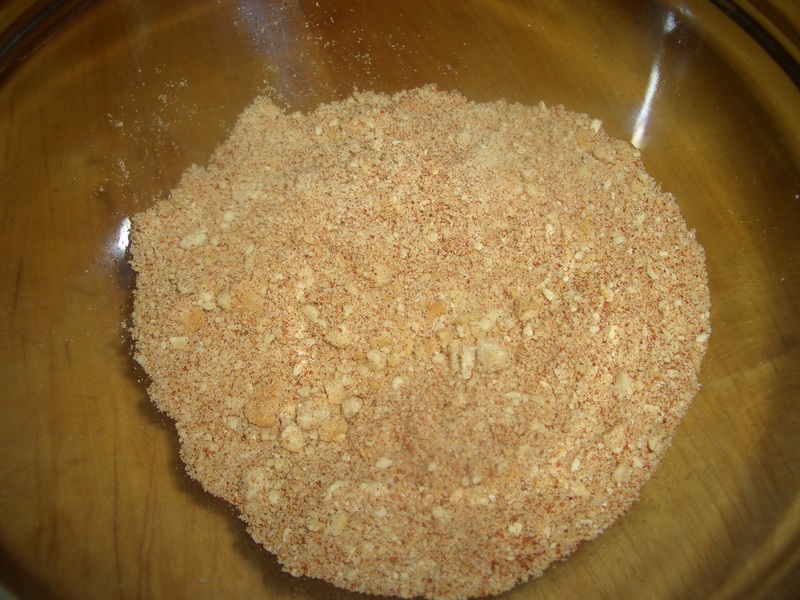 Place the ground nuts, paprika, garlic, ginger, ground red pepper, in a small bowl. Toss to completely blend. 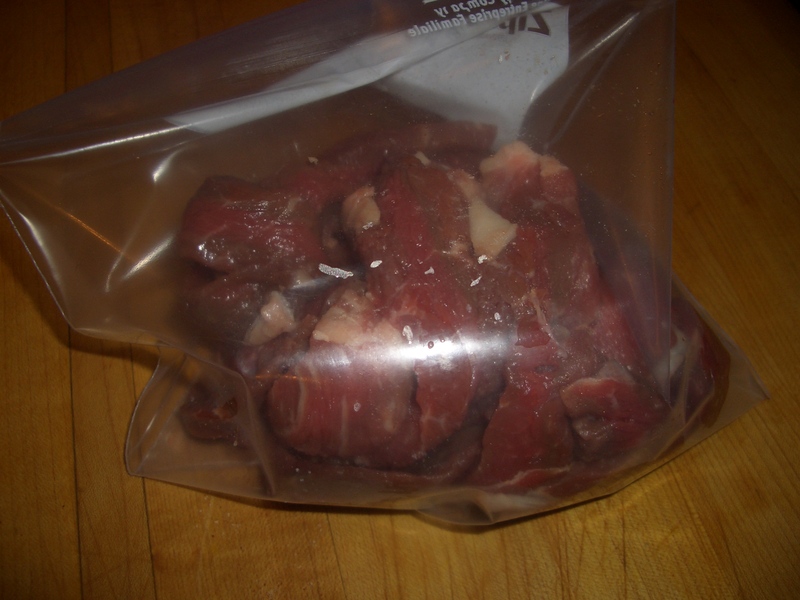 Place the meat in a zip lock bag. Add 1 tablespoon olive oil and and lime juice; toss to coat. 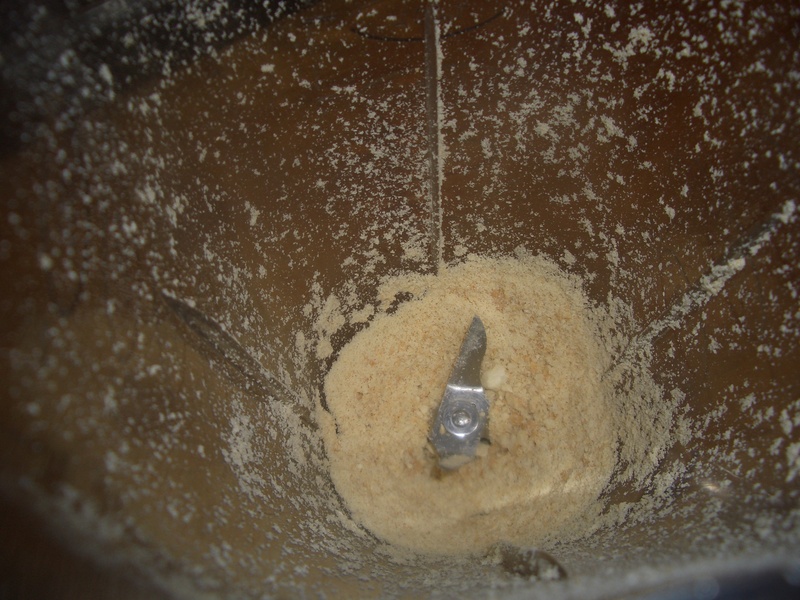 Add half the nut mixture and toss to coat. 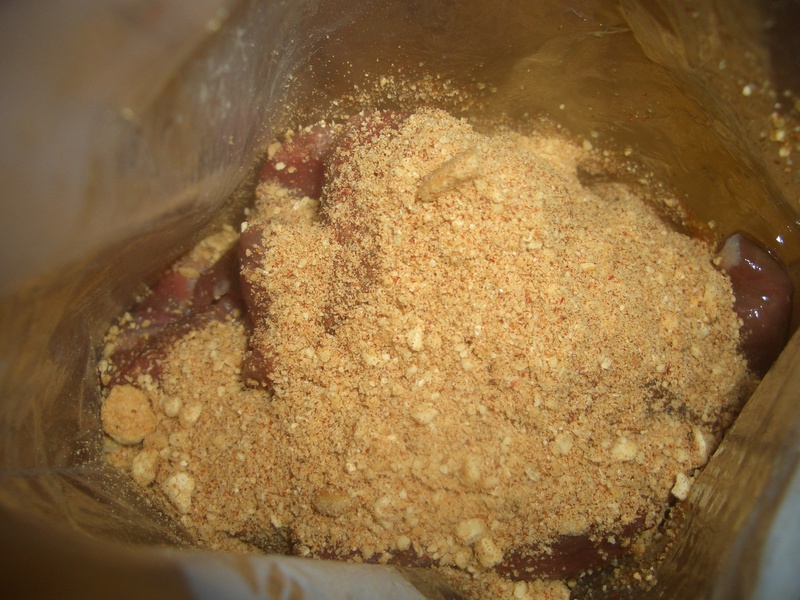 Add remaining nut mixture and toss to coat completely. 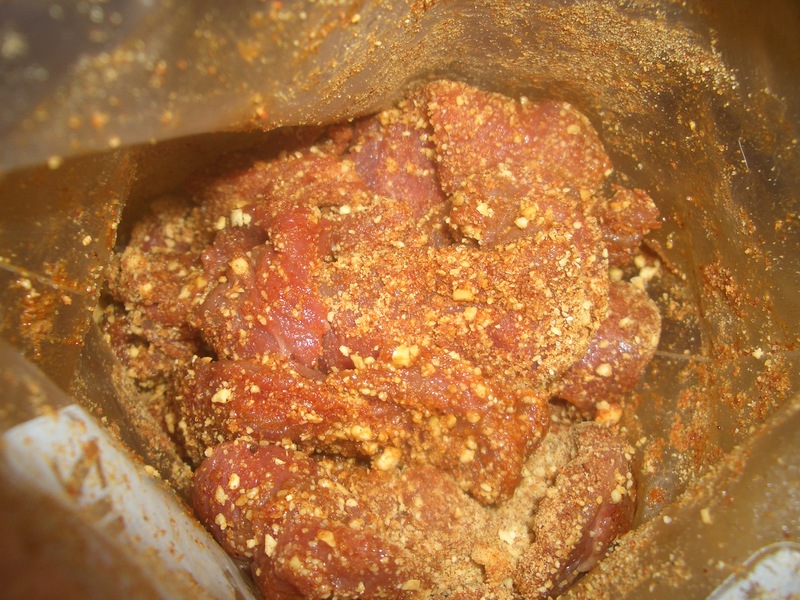 Let marinate at least 1 hour in the refrigerator. 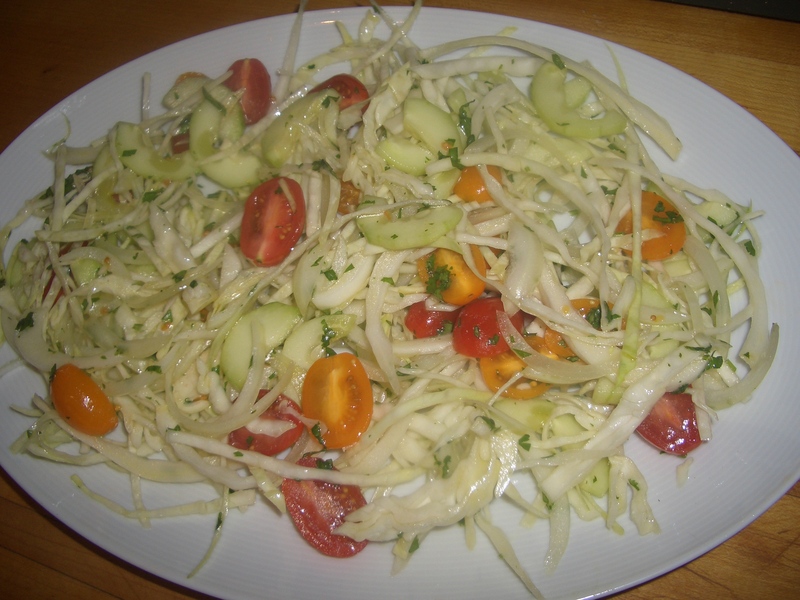 While the meat is marinating prepare the salad by combining the cabbage, onion, tomatoes, cucumbers and chopped herbs in a large bowl. Toss to combine but do not dress yet. Preheat the grill or broiler. 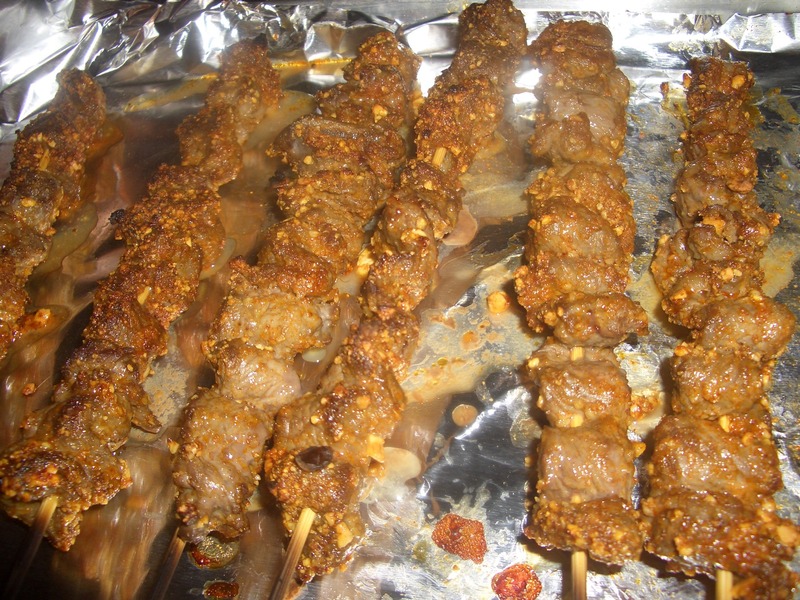 String the beef onto skewers; place on a jelly roll pan lined with aluminum foil. 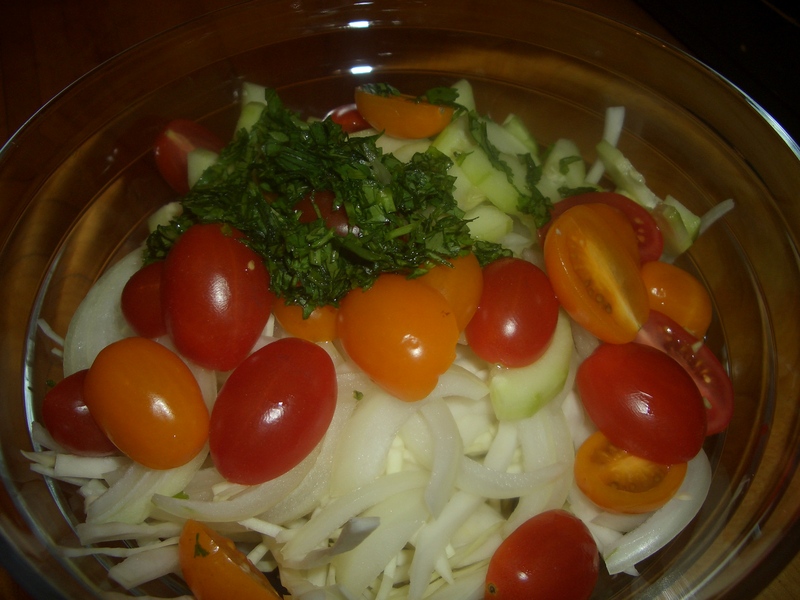 While the beef is cooking, add the lemon juice, olive oil, and salt to the salad and toss. Place the salad on a serving platter. 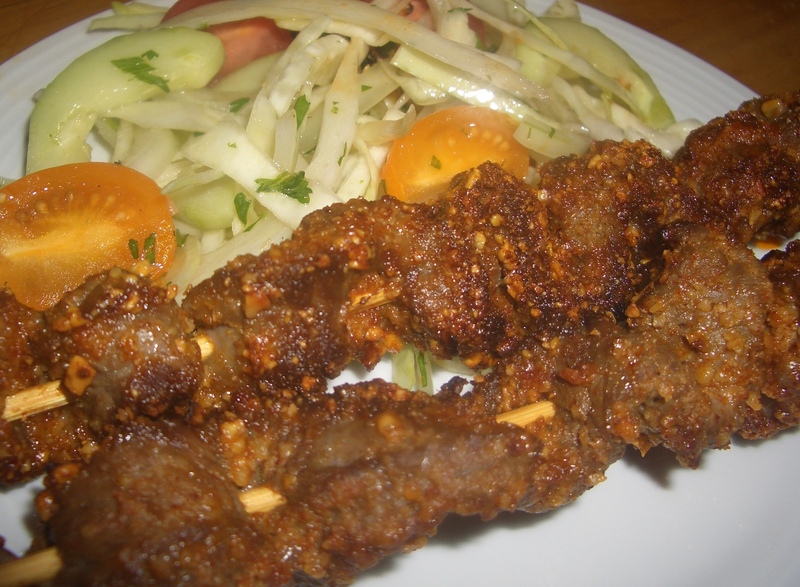 Top with beef skewers. look your post. Thank you a lot and I am taking a look ahead to touch you. Hi to every one, since I am really eager of reading this web site’s post to be updated on a regular basis.